This week, we’ve covered the 7 deadly sins of private label sellers and 1 key tactic to come up with product ideas. So one of the best ways to expand your knowledge especially when it comes to business is by reading books from established authors. Call me a book nerd but in Shanghai, I co-founded a Business Book Club over 8 years ago with my good friends Oliver and Dave. Over this time, we’ve read dozens of business-related books covering sales, marketing, strategy, finance, negotiations, entrepreneurship, and even non-verbal communications by reading people’s body language! And we just celebrated our 8th anniversary of our book club earlier this year. So today, I wanted to share with you a short list of books that have immensely helped me in growing my business and maximizing my personal productivity as an entrepreneur. In other words, within the 20% you can dive deeper to the “sub 20%” within these. For example, they will be your most profitable products, your best customers, and the tiny things you do to get the greatest return on your time. For example, why does Starbucks sell a $200 espresso machine? Because the 80/20 of their best 20% of customers are willing to spend hundreds of dollars at their favorite coffee shop. If Starbucks didn’t offer it, they would be leaving money on the table, and these customers would probably spend the same $200 at Williams Sonoma or Amazon instead. QUESTION: How you can apply this premium offering strategy to your ecommerce business? There’s a fantastic exercise in the book that helps you see how much the value of your work is REALLY WORTH. The author Marshall says to divide everything you do into 4 columns labeled $10/hr work, $100/hr work, $500/hr work and $1,000/hr work. You might not think anything you do is worth that much but for some tasks the ROI is huge. For example negotiating down the cost of a product over its product life cycle could save your tens of thousands of dollars (OR MORE if your product is a hit) for just a few hours of your time. This exercise makes it a lot easier to objectively decide on what to do and what to outsource. For example when I travel, previously I would never spend money on laundry at the hotel because it’s so overpriced. $10 to wash and dry a shirt – no way! But now, I think about the opportunity cost. If I were to go to the laundromat or hand wash the shirt myself in the hotel sink and hand dry it, it would take at least an hour of my time. That same hour could be spent optimizing my Amazon listings, responding to customer questions, and even finding the next home run product that could lead to a 7-figure business. If you put it in this perspective, the time doing this would be much more valuable spending the same time washing my shirt (to save $10). Takeaway – what’s one thing you’re doing today that you shouldn’t be doing so you can generate more ROI from your time? Remember the tomato timer you had in your kitchen? Well who knew that this is one of the best productivity hacks for people like me that are inundated with texts/WeChat messages, emails, phone calls, family distractions, etc all day long. 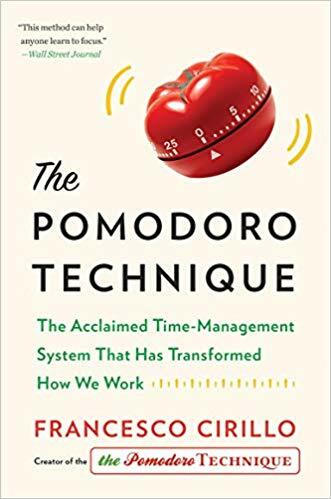 The gist of it is to batch your work in 25 min blocks of time to maximize focus and results and to minimize distractions. During these 25 min of hyperfocused work, you don’t let anything distract you – not emails, not texts, etc. You then get to take short 5 min breaks to recharge so you don’t burn out. I find it really helps me get in the zone and get a tough task finished more quickly. 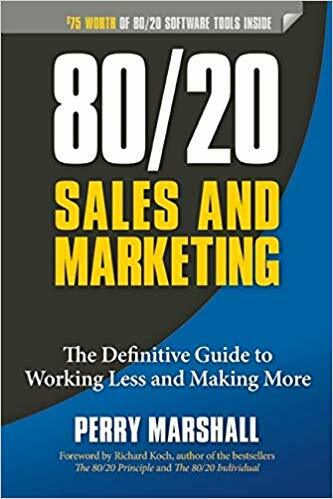 This is one of my favorite practical business advice books about sourcing from China from an American businessman who’s walked the walk and worked for years in China in the 90’s and 2000’s. Midler gives an excellent first hand account from a sourcing perspective dealing with Chinese suppliers and factories. He lifts up the curtain to show us the good, the bad, and the ugly sides of doing business with China. This is a must read for anyone that is sourcing from China. 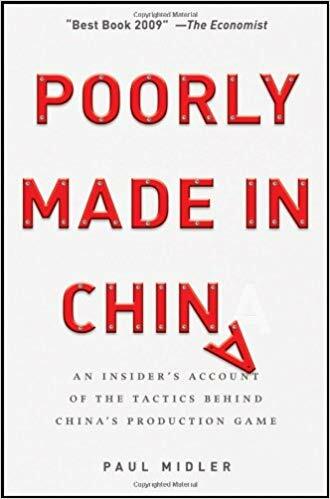 These memoirs are a real world look at how Chinese factories operated in the recent past since the book was published in 2009. Note however that the landscape has changed from when the book was written until now with drastically increased costs sourcing from China, more factory compliance to environmental regulations, and the implications of the trade war with business moving away from China. But the book is still valuable for anyone sourcing from China. 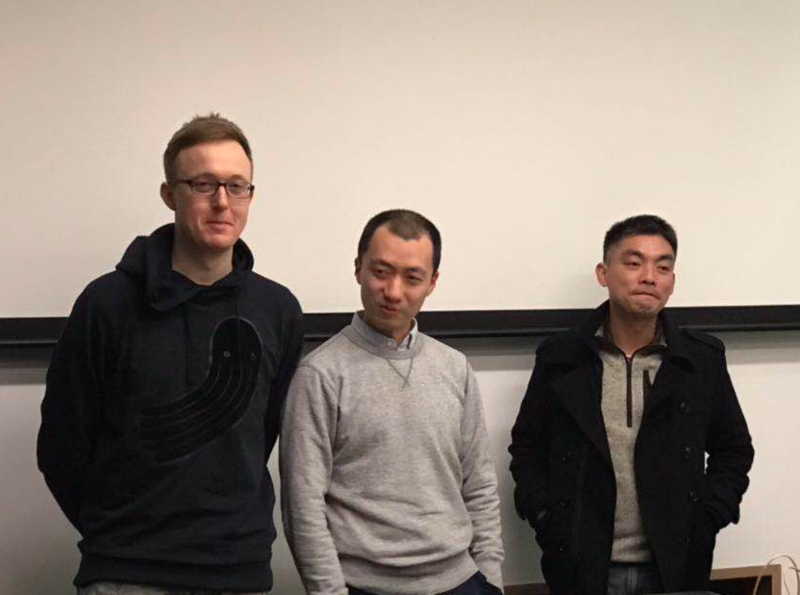 In summary, these books will help you with your ecommerce business by creating the right strategies for your business on a high level, be more productive in your day to day work on the ground level, and get a great overview of how working with Chinese suppliers work without having to make the same mistakes others made. Now it’s your turn – what’s one book you’ve read and has helped you that you’d recommend to other e-commerce entrepreneurs?